Even though this two-CD package won't be in stores until May 23, I think many Johnny Cash fans would enjoy a preview of the latest in his long line of releases. Johnny Cash: Personal File is a collection of 49 previously unreleased tracks that had been stored on tapes marked "Personal File" in the House of Cash in Hendersonville. They were all tracks he recorded with just his acoustic guitar and his voice and then stored away in a private room where he kept such personal treasures as his Jimmie Rodgers memorabilia. Apparently at the time he recorded them, he thought no one would be interested in such a stripped-down sound. When he later cut his first CD for the American Recordings label with producer Rick Rubin (1994's American Recordings), he remarked that he had made a similar record in the 1970s but could interest no labels in it. Those songs are here, in addition to some he recorded later. The song selection reflects Cash's far-ranging interest in all kinds of music. 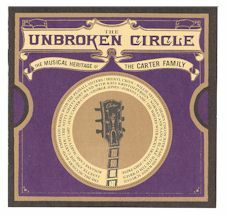 There are poems, old Carter Family songs, 19th century ballads, Irish songs, as well as original Cash material. Cash covers such country hits as Lefty Frizzell's "Saginaw, Michigan" and Johnny Horton's "When It's Springtime in Alaska (It's Forty Below)," as well as the Cash-Horton collaboration, "Girl in Saskatoon." Cash tells a charming story about the children's song "Tiger Whitehead," which Cash co-wrote with his friend Dr. Nat Winston. The song resulted from Dr. Winston taking Cash to see the 19th century gravesites of the famed bear hunter and his wife Sally in Whitehead, Tenn. Tiger's tombstone noted that he killed 99 bears. His wife's burial marker notes that she nursed two bear cubs that Tiger had brought home. Cash later recorded it on a children's album. There are songs by such contemporary writers as his then-son-in-law Rodney Crowell, his stepdaughter Carlene Carter, Kris Kristofferson and John Prine. And there are spoken introductions to many of the songs. This is a treasure chest of vintage acoustic Cash. A cache of 49 songs is a lot to absorb all at once, so I've sifted through the songs over several days and found much to savor. Cash began recording these in July 1973 and cut 24 songs then. The other sessions came three months later in 1973 and in 1974, 1976, 1977, 1980 and 1982. The bulk of the recordings are from 1973, which astonishingly was a very prolific records release year for Cash, in which Columbia Records released four Cash albums, followed by three more in 1974. None of them sold especially well, and only 1973's Any Old Wind That Blows broke the Billboard Top 10. The first 1973 sessions are obviously songs that 1973-era Nashville record labels would never release, and you have to wonder if these songs amounted to pressure valves that Johnny Cash, the artist, wanted to cut versus songs Johnny Cash, the hit machine, couldn't record. These were mostly covers, and some were very sentimental songs such as "There's a Mother Always Waiting at Home," "Missouri Waltz" and the Louvin Brothers' "When I Stop Dreaming." He also did a five and a-half-minute version of the epic poem, "The Cremation of Sam McGee," which I memorized in college and which was a staple of Texas bars and I'm sure of bars everywhere late at night. I think Cash fans will be delighted to hear his lively rendition of this classic Robert W. Service poem. A double disc of Johnny Cash's home-recorded music will be released in May by Sony BMG's Legacy Recordings. Personal File features music Cash recorded in his House of Cash studio near Nashville in the early 1970s through the early 1980s. It includes original songs, covers, poetry and stories about his teenage years. None of the 49 performances on Personal File has ever been released. In addition, Live in Denmark, a Cash concert from the 1970s, is scheduled for DVD release in June. With Carrie Underwood continuing to top Billboard's chart of current country albums, Johnny Cash claims five of the Top 7 positions on the trade publication's list of older albums. His sales could experience another spike next week after Walk the Line, the film about his life, resulted in three wins earlier this week at the Golden Globe awards. Topping Billboard's Top Country Catalog Albums chart is Cash's 16 Biggest Hits, a CD released more than six years ago. The catalog albums chart reflects reissues and older albums that have fallen below No. 100 on the all-genre Billboard 200 chart. In second place on the catalog chart is Tim McGraw's Greatest Hits and Keith Urban's Golden Road. But in fourth through seventh place, respectively, are four more Cash titles -- The Essential Johnny Cash, Johnny Cash at Folsom Prison, American IV: The Man Comes Around and Super Hits. She plays hits and even takes requests. 'Pancho & Lefty' is a surprise. Rosanne Cash's performance Saturday night at Musikfest was as exquisite as the finest cut crystal. The sensitive, tasteful guitar backing supplied by her husband-producer, John Levanthal, as well as Foy Hall's acoustics and even the two decorative candelabras at the rear of the stage, further enhanced an emotionally rich experience. Between probing the darker corners of relationships and stripping bare their dynamics, Cash -- in black slacks, a pink camisole and a loose, multicolored, thigh-length jacket -- chatted amiably with the full house of attentive, largely middle-aged fans. LOS ANGELES (Reuters) - A Johnny Cash prison concert that almost turned into a riot will receive its U.S. broadcast premiere on Sunday, 35 years after the electrifying show was filmed. The Trio cable channel will air the one-hour documentary "Johnny Cash in San Quentin" at 9 p.m. ET/PT, with a few repeats scheduled later in the month. Produced by Britain's Granada Television, the TV show intersperses performances of such songs as "I Walk the Line," "A Boy Named Sue," "Wanted Man" and "Daddy Sang Bass" with commentary from inmates doing time at one of America's toughest prisons. A warden also details the execution process, while one condemned double-killer coolly relates his lucky escape from the gas chamber. Cash's then-new wife, June Carter Cash, dueted with her husband on "Jackson" and also helped out on harmonies with her mother, Maybelle Carter, and two sisters, Helen and Anita. All are now dead, as is the show's guitarist, Carl Perkins. The highlight of the concert was probably a tune that Cash, then aged 36, had written especially for the occasion, "San Quentin," whose quietly incendiary lines included such pleas as "San Quentin, may you rot and burn in hell." The captive audience went crazy when Cash finished the song, hundreds of hardened criminals jumping to their feet, clapping and cheering wildly. "Somebody later told me, 'If you'd said "Break," they would have broken. They'd have rioted, torn the place up,"' Cash told author Nicholas Dawidoff in the 1997 book "In the Country of Country." The Feb. 24, 1969, concert yielded a live album three months later, "Johnny Cash at San Quentin," a companion piece for 1968's "At Folsom Prison." Both albums were huge sellers, restoring Cash to the forefront of the mainstream music industry after a few creatively dry years. "It was this breakthrough for a hardscrabble guy who really emblemized the rougher side of country music," said Kris Slava, vice president of acquisitions and program planning at Trio. The TV special depicts "a working man reality, a sense that we're all in this together, and here it is, real life unadorned," he added. Since it is apparent that the producer "probably had a bit of a political ax to grind," Slava said the special may have been too hot for U.S. broadcasters to air at the time. The prisoners appear articulate and repentant, which may have been at odds the law-and-order mood of the American public, Slava said. "Johnny Cash in San Quentin" airs as part of Trio's "Uncovered TV" month, which features rare programs from around the world. Other U.S. premieres included British director Ken Loach's 1969 film "Kes," the first season of Australian sitcom "Kath & Kim" and "The Death of Klinghoffer," an adaptation of the opera about the murder of a handicapped American aboard the hijacked cruise ship Achille Lauro. Trio, a unit of the Universal Television Group, is available to 20 million households via digital cable and satellite services. Johnny wins Video of the Year for "Hurt." June wins Best Traditional Folk Album. LOS ANGELES (Reuters) - Late country music icon Johnny Cash won a Grammy Award Sunday for a heartbreaking video clip that served as a nostalgic farewell to his fans. His wife, June Carter Cash, who died just a few months before he did last year, also won a Grammy, in the traditional folk album category. 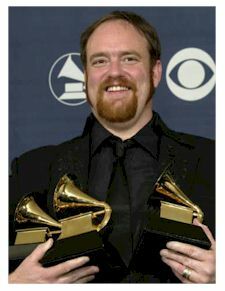 Both awards were accepted on their behalf by their only son, John Carter Cash. Cash's clip for "Hurt," filmed at his home north of Nashville less than a year before he died last September, won the Grammy for best short form video, the first prize announced during the non-televised portion of the ceremony. 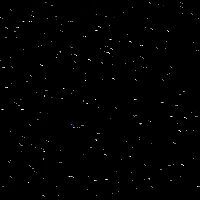 A funereal tune about depression written in 1994 by Trent Reznor of hard rock band Nine Inch Nails, "Hurt" was covered by Cash on his last album, "The Man Comes Around," which has sold more than one million copies in the United States. "My father, he can take any song and make it his own," John Carter Cash said. "To take a song of such gut-wrenching potential and strength and fear and not lose his dignity is amazing." June Carter Cash died in May, before the release of her third solo album, "Wildwood Flower." Her son said she was able to hear the recording and review the artwork for the album, which he described as "a real labor of love." His mother's cover of the Carter Family's "Keep on the Sunny Side" was nominated for female country vocal performance. The Cashes were also nominated for their duet on "Temptation," a contender for the country collaboration with vocals category. Johnny Cash already had 11 Grammys, including two he shared with June Carter Cash. She won a Grammy in her own name for her 1999 solo album, "Press On." Filmed by director Mark Romanek in October 2002, the clip shows the frail, white-haired "Man in Black" sitting at a table at his Hendersonville, Tenn. home while June worriedly looks at him from a nearby staircase. Some scenes were shot at Cash's nearby flood-damaged museum, complete with broken artifacts such as a shattered gold record. The video includes old footage from Cash's hellraising glory days, including a jailhouse performance at San Quentin in the late 1960s. Despite airing only once on MTV before his death, the clip picked up six nominations at the music cable channel's annual Video Music Awards last year. In a major snub, it won just one prize, for cinematography, and Cash died 15 days later, on Sept. 12. Cash Fan, Joe Brill. Joe is attempting to get CBS to release a previously "unreleased" concert from 1968 held in Toronto, Canada. He would like all of us Cash fans to contact the person listed at the bottom of his email so maybe we fans can get the ball rolling so this concert does not go the way of the dinosaur and be lost for eternity and catch dust on the shelf. Please read, respond and forward to fellow Cash fans! there is significant public interest." to further pursue this idea and I did just that! business case could not be made for it. an item should they decide to produce it. years and it is a "live" performance from that time. the news and to get in touch with CBC ASAP by mail or email.